CiboCrudo.com The Best Place Where to buy Goji Berries Online! > Goji Berries, Where to Buy ? CiboCrudo.com The Best Place Where to buy Goji Berries Online!!! We're preparing the english version of this web site, until is ready just some information about us and our business target. We are an Italian Business Company that is able to offer the top quality food for any product you're going to find in this web site. So, our company target is very very simple, top quality food, top quality service, so, just buy, taste and you'll see what we mean. To present our Business Company and be credible, any of our products have 4 different certification, the Biologic one, the Bio – Vegan one, the Gluten Free one, and Guaranteed Raw Food one. Yes, we're a Raw Food Company and all foods you'll find on this web site is totally Raw, it means that any step of the process from the farm to your kitchen is always under 42°C. It allows to conserve all the natural properties and gives you the best benefits as possible. This is our food concept, just Raw organic food in order to respect nature and ourselves as well and follow a healthcare diet to stay alway in a good shape!!! If you're looking where to buy goji berries please consider our product because we think it deserve totally. It's the best world selection, are very big and lucius completely different of the ones you can find in most supermarket, ad taste very very good. 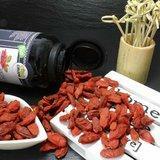 We have Goji Berries Bio Naturally Dried and also Powder in different format so you can choose your favourite one. Goji Berries, Where to Buy ? Our company is more than a Business Company is a philosophic food movement, you'll certainly see that it was not easy propose this food concept in Italy, the land of Mediterranean cousine but we did it, with a great success, in fact now we have a Community of more than 50.000 persons that follow us on our social networks or blog, that interacts with us to make discussion, suggestions and recipes. … and also a little bit we're hoping that you have found the right place where to buy Goji Berries .